Intimate and functional Room with subtle colour shades that offers the best comfort. 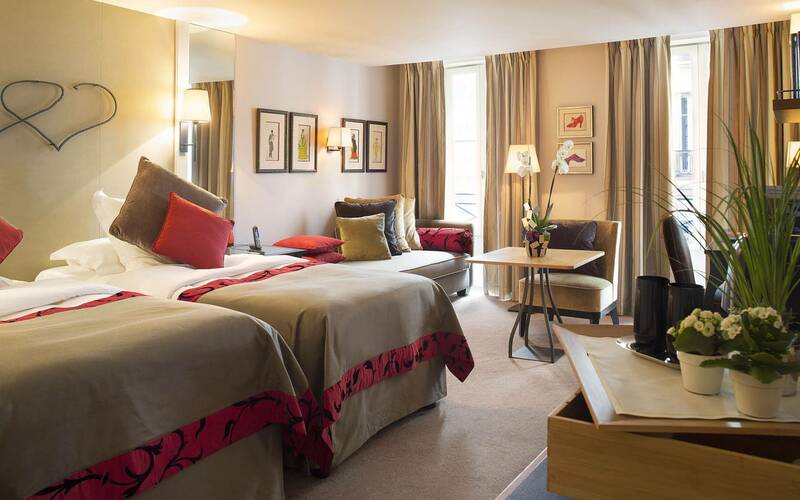 Tip: Our room #52 has a nice private terrace, offering a beautiful view over the rooftops of Paris. A plus for smokers. *premium numbers and calls to certain destinations excepted. Welcoming Room with a refined decoration offering a pleasant unpretentious feeling of luxury. 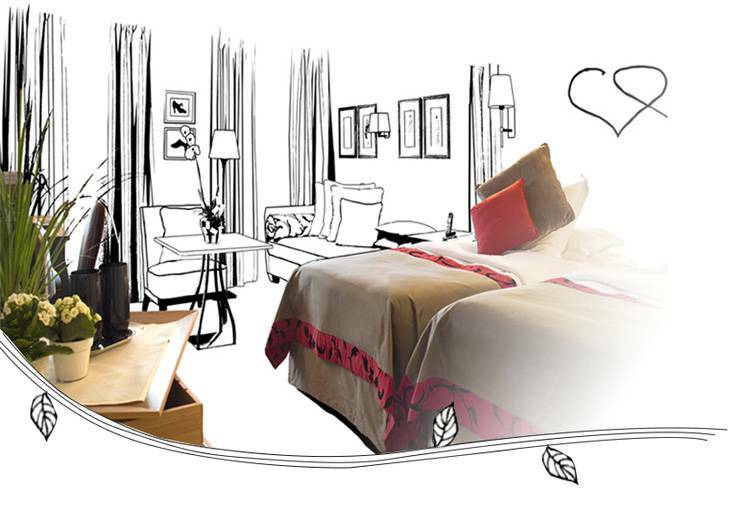 Tip: Some of our Deluxe rooms can be converted in communicating rooms, feel free to contact us for more information. Bright and spacious room,elegantly and functionally furnished. Aesthetics and refibement add up to the peaceful atmosphere of the room. Our tip: Our Executive rooms are the only one in which a third person is allowed to be accomodated (1 child under 12 years old, €21/day). It is necessary to mention it during the booking process. 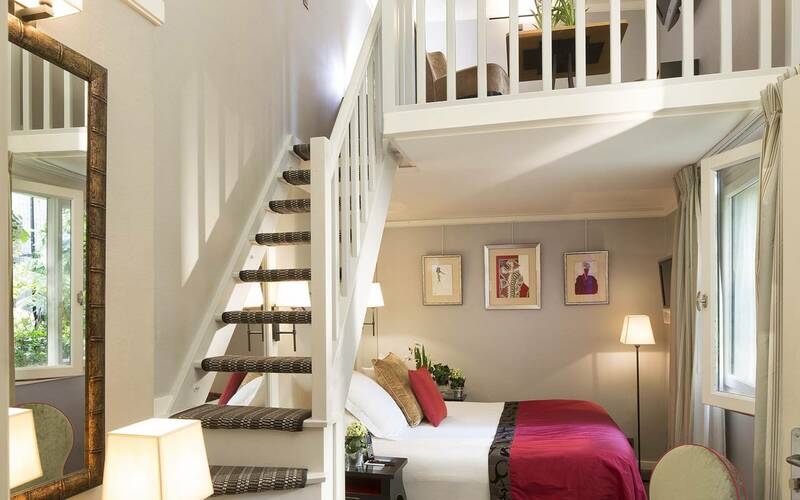 Our tip: Our Room #1 has a mezzanine opening on the garden, and has a step-in jet massage shower. Room adapted for people with reduced mobility. 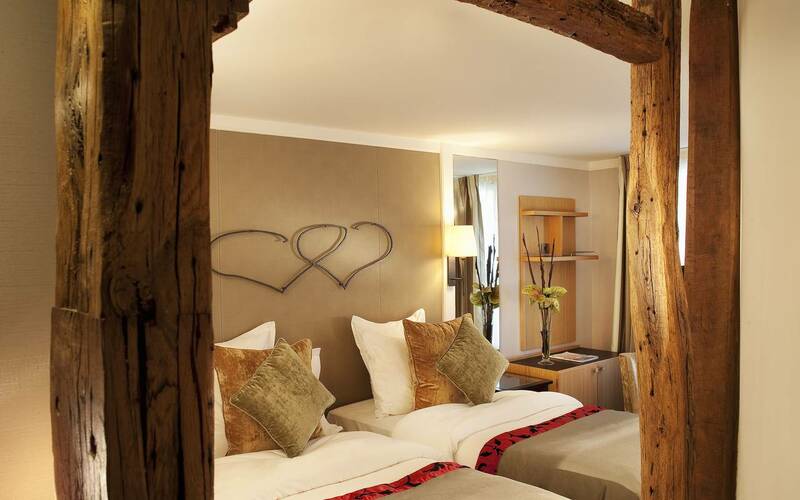 An important attention to detail makes this cosy Suite a peaceful and charming place. Our tip: particularly pleasant Room in Spring and Summer to enjoy a breakfast or a gourmet pre-dinner at the beautiful terrace. 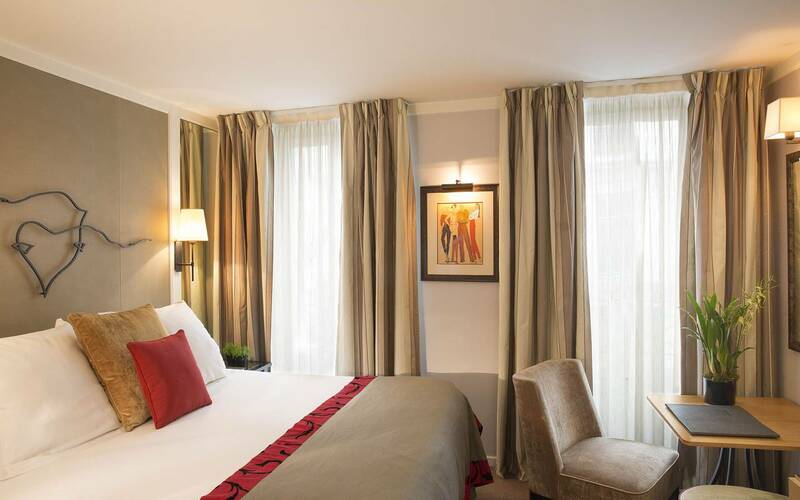 Both peaceful & cosy, our 28 rooms and suite are favourable to relaxation. Some open on beautiful flowery terraces offering a typical view over the rooftops of Paris. 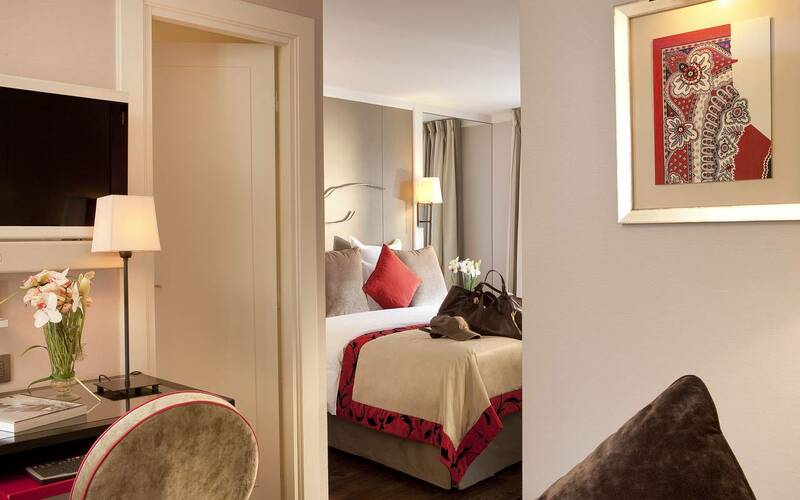 Soft colour shades and blend of style, leathers and silky fabrics, wooden floor or thick carpet contribute to the discreet refinement and to the peaceful atmosphere of this heaven in the Left Bank of Paris. 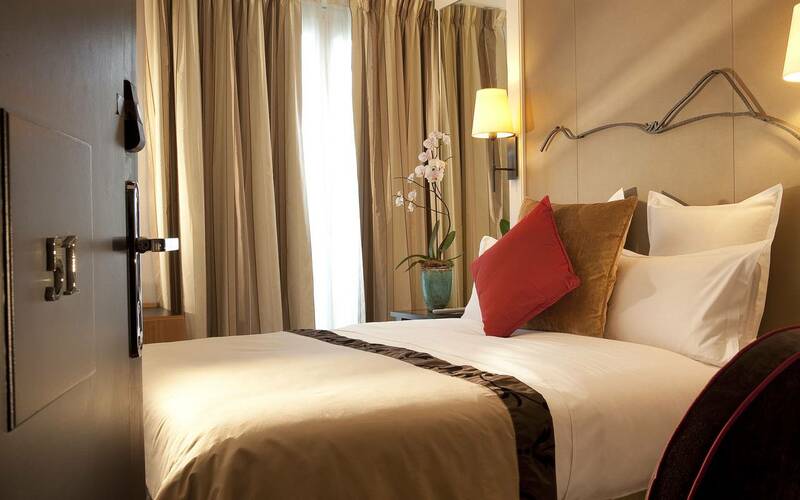 Every room is equipped so as to offer the best comfort and the services of a luxury hotel. The attention to detail and the well-maintained facilities of our bathrooms are specific characteristics of the Madame Villa.